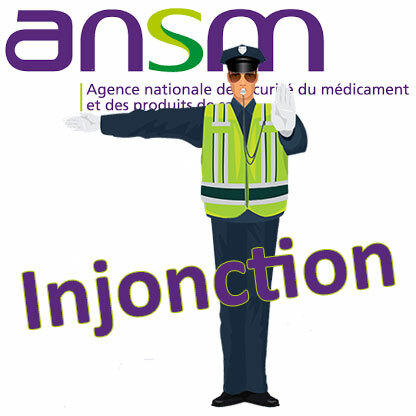 It is in the name of"non-compliances and significant breaches" that the ANSM has just sent the companies Lessonia, Alès Groupe and Laboratoires Gilbert compliance injunctions relating respectively to their establishments in Croas Ar Neizic, Bezons, and Hérouville-Saint-Clair. In question: several discrepancies relating to compliance with the requirements of ISO standard 22716 on Good Manufacturing Practices and Cosmetics Regulation 1223/2009. These injunctions are dated 12 July 2018 and were published on the ANSM website on 24 July. - Some raw materials are released only from the supplier's analysis report without appropriate controls upon receipt and in the absence of agreement with the supplier, which is insufficient with regard to chapters 6 and 9 of the harmonised standard NF EN ISO 22716 of January 2008 on Good Manufacturing Practices for cosmetic products. - The absence of a satisfactory review of the batch records, allowing the finished products to be released on the basis of a complete batch record and by quality personnel, in accordance with chapters 8.2, 9.1 and 17.3 of the harmonised standard NF EN ISO 22716 of January 2008 on Good Manufacturing Practices for cosmetic products. - The lack of appropriate separation and maintenance for the weighing area of the raw materials in accordance with Chapter 4 of the harmonised standard NF EN ISO 22716 of January 2008 on Good Manufacturing Practices for Cosmetic Products.